Parenting, like much of life is about assumptions. We get through our daily lives on the basis of the things we take for granted. We don’t even realize how precious these things are until they aren’t there for some reason. Take for example electricity. We just assume that the lights will come on, that the toilets will flush, and that we can watch television until there’s a storm that takes out the electricity. If it is a big enough storm and we have to go for several hours or even days without electricity we can really start to appreciate how grateful we need to be for electricity each and every day. As a parent or to-be parent, we assume that a long list of things will happen: our child will be healthy, will learn to walk, will talk, will tell us that they love us, will give us hugs and kisses, and so on. It’s what happens in those “what to expect from your newborn/toddler” books, what happens in advice columns in magazines, and what generally happens in shows and movies. It’s all around us because for the most part, like our electricity, these are things that we can assume will happen. Maybe it’s our assumptions or maybe it’s the constant barrage about what normal looks like but when these assumptions aren’t your experience, reality comes crashing down like a house of bricks. Take playing with toys. Caden has bins and bins and bins of toys. Yet on any given day he’ll play exclusively with either his ipad or the wii. For a while I thought we had done something wrong; that we had raised one of those technologically addicted kids who was bored with plain ole have to use your imagination toys. I have even gotten frustrated enough a few times to say if you don’t play with these toys I’m going to give them to some child who really wants them. Then Caden cries……………and I feel bad……really really bad. Recently though a light bulb clicked and I finally understand his choices. As I have talked about dozens of times, Caden sees the world in black or white. He’s a concrete logical thinker. Wii or his ipad games have a clear cut way to play them and there is a definite right or wrong way to tackle each game. Video type games make sense in his world. The toy box though is a sea of uncertainty. First you have to choose what you are going to play and inherent in every choice is the possibility that you’ll choose incorrectly. Then you have to choose how to play with the toy. Imagination is a rainbow of vivid colors without a lot of road markers; for a child who sees the world in black and white this isn’t just overwhelming, it is terrifying. This fear is paralyzing to Caden and he’d simply rather not choose than to risk making the wrong choice. He’s delighted to play with his toys when we choose one for him to play with as long as we also include the how to play directions. So if I tell him to get his cars and race around the dining room table, he’ll do so quite happily. He’ll giggle and laugh and have fun but he can’t start that process on his own. So we’re working on making choices and learning how to play right now. At the moment we are picking out a toy and giving the directions to see if Caden might start spontaneously going to that toy knowing that he can and does understand how to play with it. Eventually we’ll branch out into a choice of toys with options in hopes that one day he’ll be okay going over the toy box and picking out toys to play with on his own. But I have to say that this is one of those assumptions that is pretty tough to swallow when it doesn’t exist—we are teaching our child how to play. Can’t say that I ever saw that load of bricks coming. But these kinds of experiences make the little things that do happen seem like the world. Honestly I won the emotional lottery this week, Thursday morning to be exact, when Caden out of the blue said “mommy I want a hug and a kiss” as he headed out the door for school. There was no prompt or no scripting—this was totally and completely spontaneous affection. That’s a huge deal that I can’t begin to put into words and I think we can appreciate it because we’ve learned over the last 6 years that it isn’t something we can take for granted or assume will happen. Another win this week was when Caden walked out of the restroom and announced that he had fastened his jeans…by himself. I didn’t expect this to happen and in fact we’ve been having him wear pull on pants more frequently because they give him a degree of independence at school. But he did it—spontaneously and out of the blue. And because we couldn’t assume that it would happen, we can savor and appreciate the moment for the huge overwhelming deal that it is. Learning not to take things for granted is a pretty big life lesson and honestly it’s one that I’m not sure most people every really learn. I think that lesson is hitting home pretty hard in our family but how couldn’t it…..after all we have an amazing little boy to teach us. I don’t know for sure how much he is learning from us but it is fair to say that we learn something about life each and every day from him. 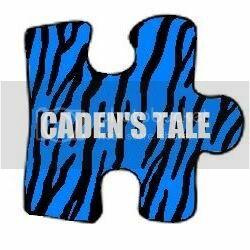 Who knew that Caden’s tale would be such a learning experience. A Cure For One or A Cure For All? You’ve heard me talk about this before but it’s a subject that continues to bother me….all of the division and fighting that occurs within the autism community. Yes before you ask, I’ve been reading article comments…again but the positive here is that it continues to make me thankful that either no one other than my husband really reads my blog or thus few comments or my readers are friendly accepting folks. So the argument seems to center around the viewpoint of autism as either a personality issue that doesn’t need cured or autism being a neurobiological disorder that does need a cure. There seems to be little acceptance of either’s viewpoint by the other side. I think this is one of those areas that makes autism so unique from other “issues”—it’s a continuum and that continuum is huge. On one end we have individuals who have little to no cognitive awareness or ability to communicate and on the other end we have individuals who may struggle with interactions but are essentially able to function and communicate. And then we have everyone and anywhere in between. Some individuals with autism will need to be cared for their entire lives, some individuals are a danger to themselves or others and have to be institutionalized, and some are able to function in society with support systems in place. And then we have everyone and anywhere in between. The differences that exist on the spectrum are really unlike any other condition that I can think of. That begs the question if everyone on the spectrum should be diagnosed with autism. That’s a question well above my pay grade but unless something drastic changes it looks like the diagnostic code manual for next year will have all of those individuals continuing to be lumped under one diagnosis—autism. It doesn’t appear then that the fight over what autism is and how it should be treated (or not) is going away anytime soon. I think we could resolve this fight though—it does however require everyone to own their own form of autism and opinions. See, we are all seeing and experiencing autism differently and that’s the only perspective that we can speak from. We need to validate and respect autism experiences and perspectives that are different from our own. Here’s the thing: I’m happy for you if autism is a personality quirk or an essential part of who you are, and that you are able to use what autism has given you to your advantage. Maybe you are particularly creative—that’s awesome. Maybe you are an engineering genius—that’s awesome too. Maybe you identify as being autistic like some identify with a life style or ethnicity—again I respect that as your choice. But you have to realize that if you are able to self-identify then you have a level of cognitive awareness and self-expression that not everyone on the spectrum has. I hope I see you on my college’s campus, I hope I hear your dorm roommate horror stories, or see you stress over what to wear to your first job interview. I hope to one day watch a movie of your life story and how far that you’ve come. I appreciate and value your perspective but again I need you to realize the cognitive awareness and communication skills that all of this requires. You don’t need “cured” and I’m certainly not going to ask you to “take your medicine” if a cure comes along. Being cured is usually a decision that individuals decide to make or not. But again you have the ability to make that decision. I need for you to consider another point on the spectrum. In my son’s world, autism means that he’s terrified of the world. The world is a source of sensory overload that usually takes him days to process. We frequently hear questions one to two weeks after the event/incident has happened. It takes him that long to mentally process and find the words to try to express himself. That doesn’t work well in an educational setting where you are presented with ideas and then expected to process them immediately or during emergencies where split second decisions determine life or death. Need more examples: this is the 4th year that Caden is in a full time school environment and it is the 4th year that learning to use scissors and identifying all of the letters of the alphabet are on his IEP. We are still working on a verbal response rather than a growl when someone says hi. We’re still working with the sheriff’s department to obtain Project Lifesaver for Caden because we are learning that as he gets older he is aware of more but that he still isn’t able to process it all; this is all increasing his flight risk. At the age of 6, Caden still doesn’t use the bathroom by himself, rarely feeds himself with utensils, and frequently sleeps with us because of nightmares that seem to derive from anxiety that he doesn’t have the words to express. Don’t get me wrong---there are more positives to Caden than I have the time or space to list. He’s a beautiful little boy with a quirky sense of humor who loves all things Angry Birds, Pokemon, and Super Mario. Although he can’t express it verbally, his love for us is evident in his eyes as well as the spontaneous hugs that he reserves for his best friend and service dog Elf. I can also honestly say that I’ve never seen a kid want to learn to read as desperately as he does and his hard work is certainly paying off as he is a 6 year old who is doing some pretty amazing work with multiplication. I’m not sure where he is on the spectrum although I know he’s not on either end for sure. His diagnosis was for autism spectrum disorder with the therapists ranging in opinion from classic autism to pervasive developmental disorder-not otherwise specified. Whatever you call it, he struggles with autism every day. And more days than not those struggles cause a lot of heartbroken tears for all of us. I absolutely despise seeing my child scared or anxious or trying so hard and not understanding why his friends moved on to first grade and he didn’t. So would I cure him? It depends on what the cure was—I’d make the same weighted decision that I make for every other medical decision. I’d look at the pros and cons and if the treatment was safe I’d probably jump to sign my consent. Notice I said my consent. Caden doesn’t have the cognitive ability to make those kinds of decisions nor does he have the communication skills to express his wishes—I’d do just about anything to give him that ability. I want nothing more than for Caden to be happy and to be able to live an independent life wherein he makes all of his own decisions—just like I wish for my neurotypical daughter. Without a cure I’m not sure we are going to get there though. I don’t think either experience with autism that I’ve just described is the right one or the wrong one. They are just different experiences based on different points of the spectrum. Recognition and support of different experiences, different spectrum points, and different decisions would go a long way in bringing the autism community together. I’ve said it before and I’ll say it again—if we can’t figure out how to accept each other, how can we possibly expect the outside community to accept us and/or our children?